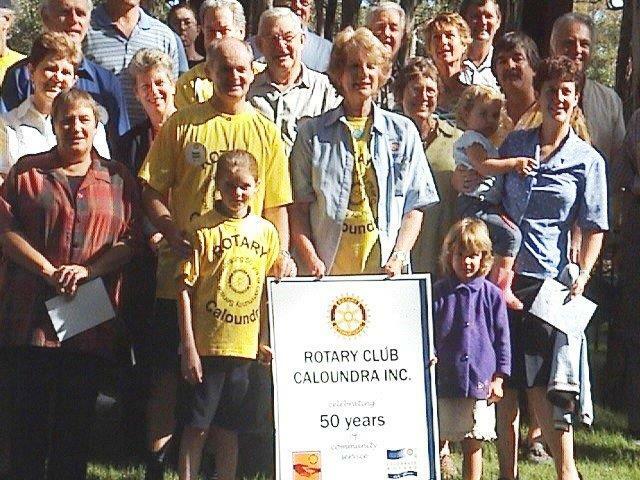 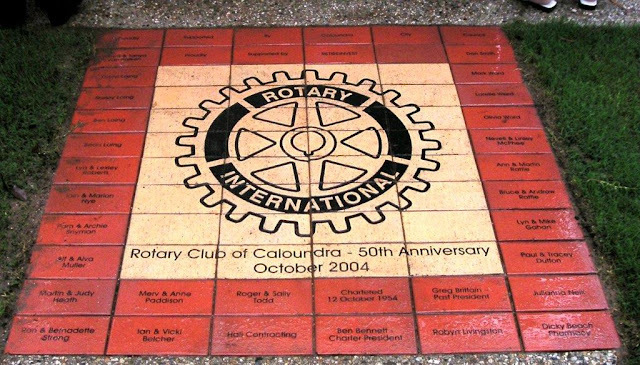 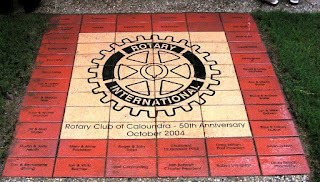 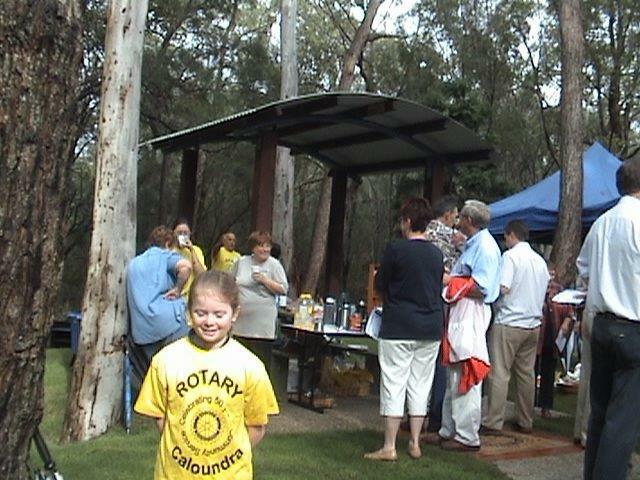 Mark Ward, and President 2004-05 Ann Rattle at the official opening of the Picnic Shelter celebrating the Club's 50th Anniversary & Rotary's first 100 years. 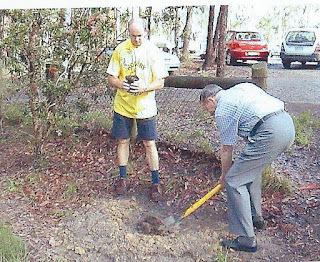 In background Vicki Belcher and Council workers. 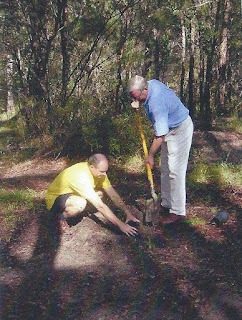 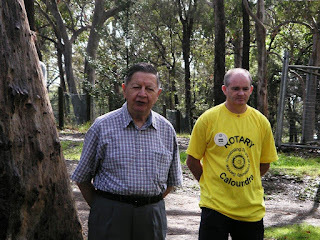 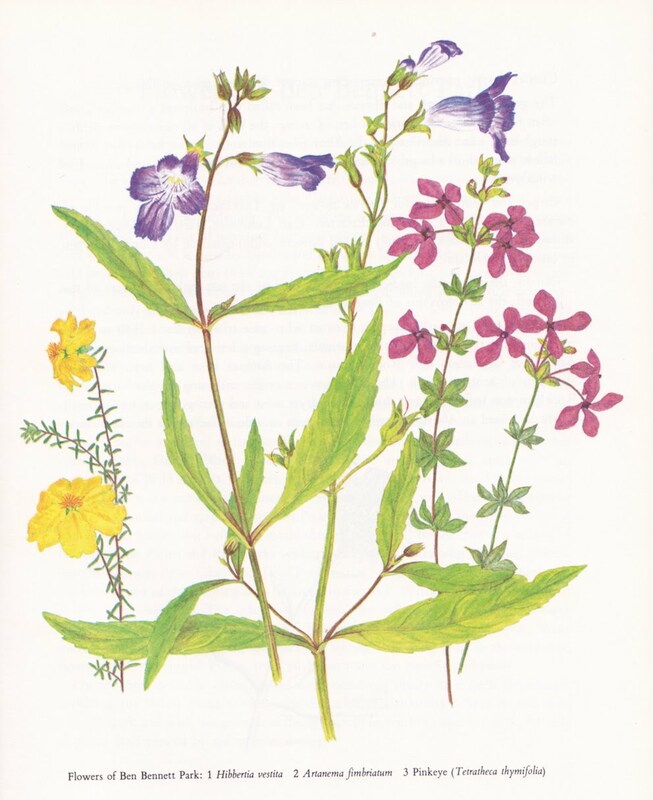 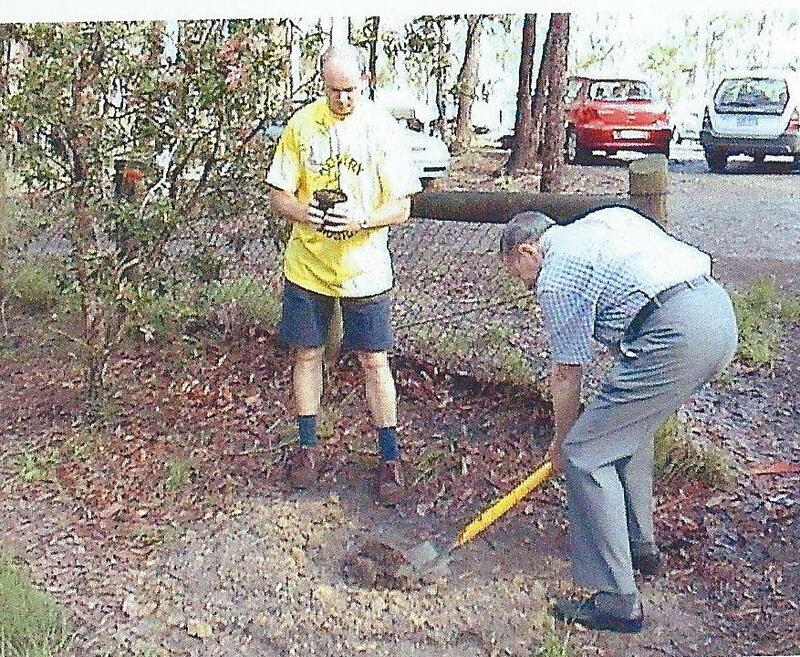 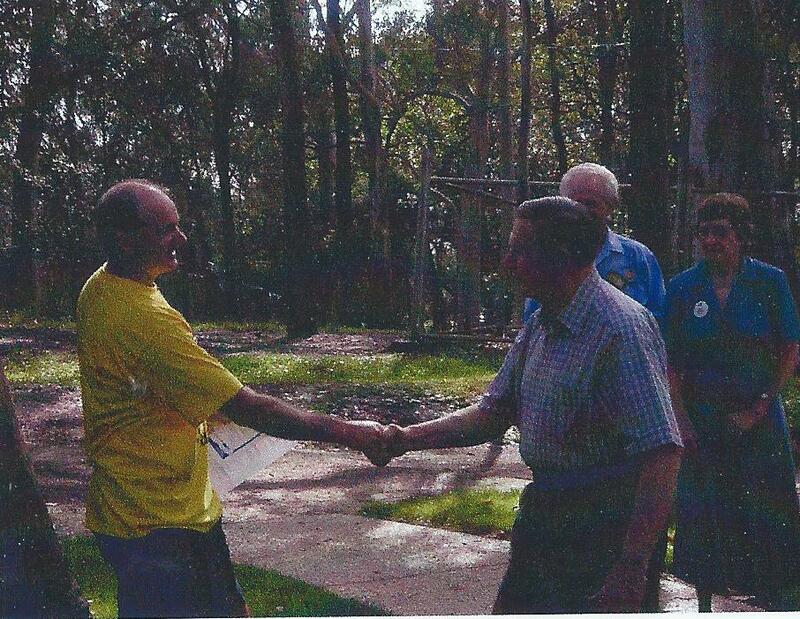 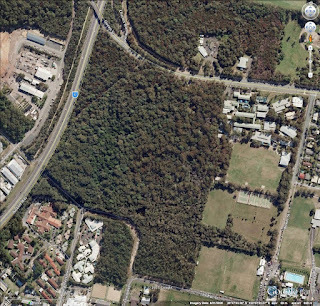 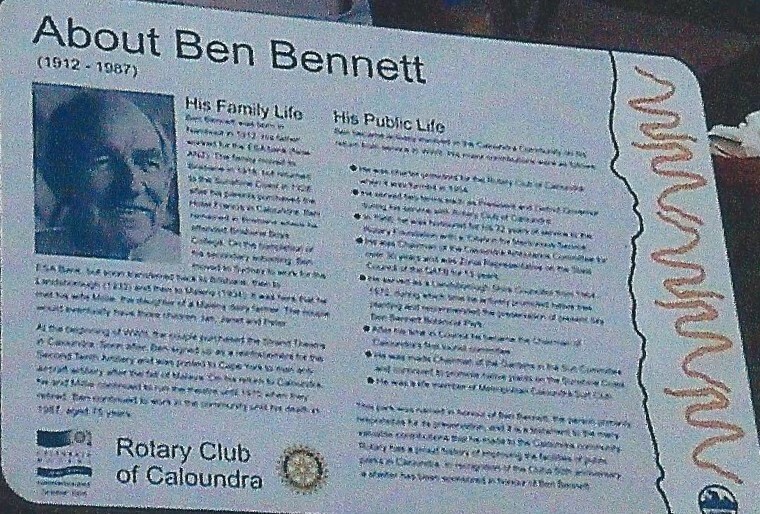 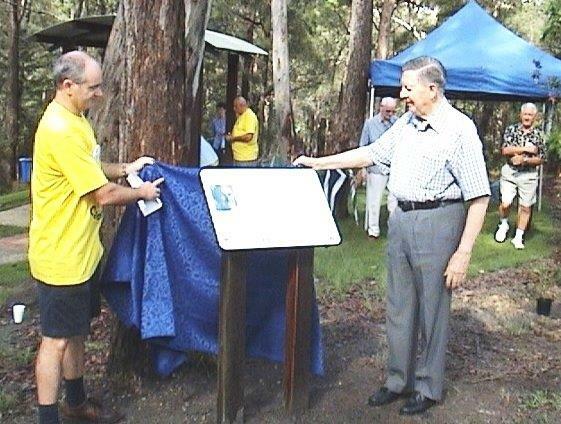 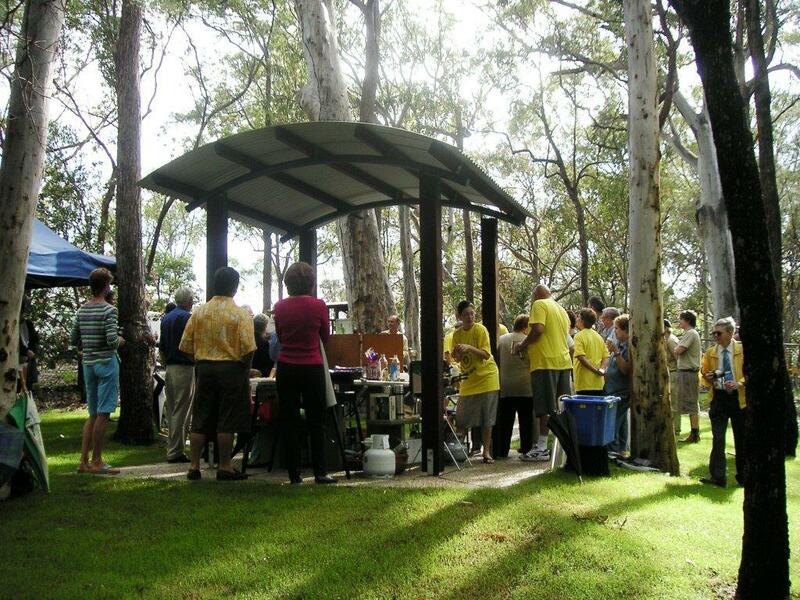 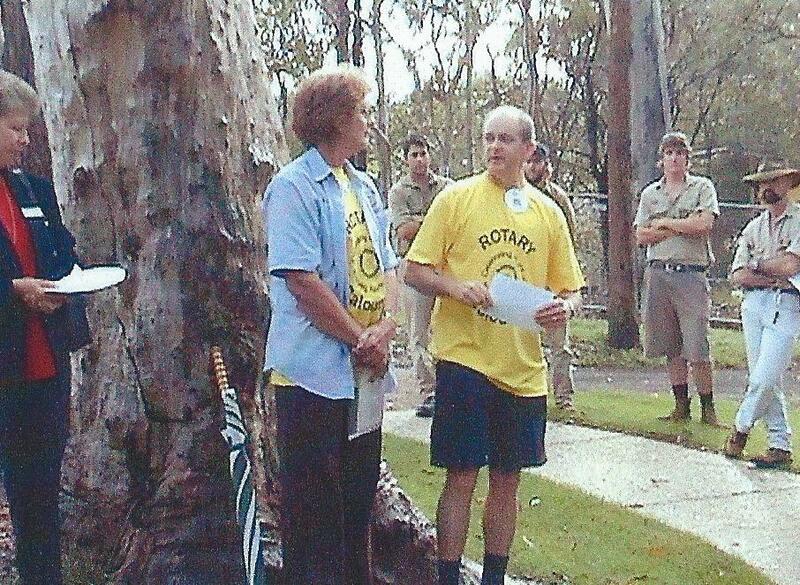 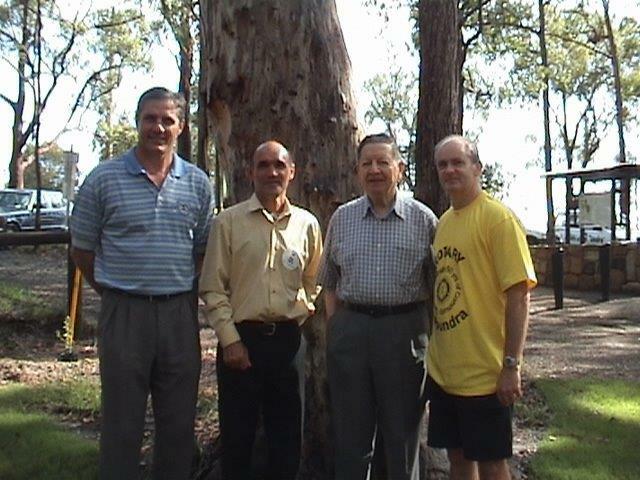 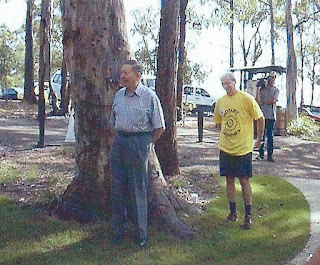 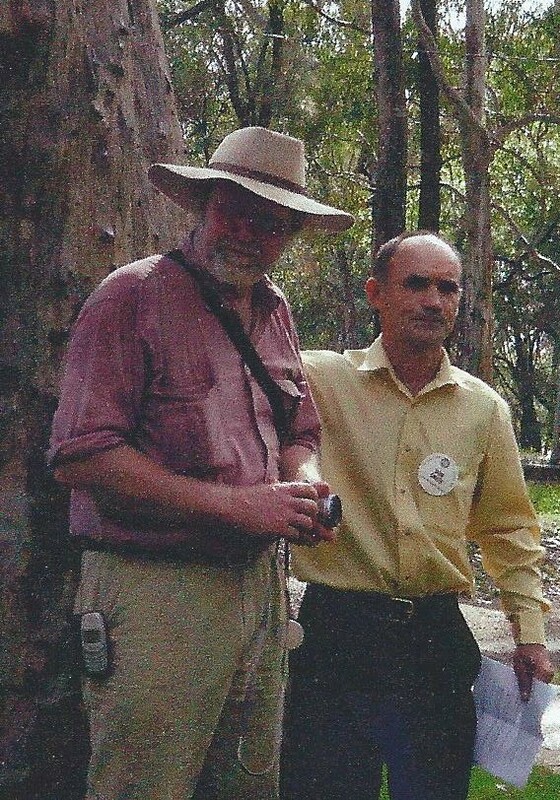 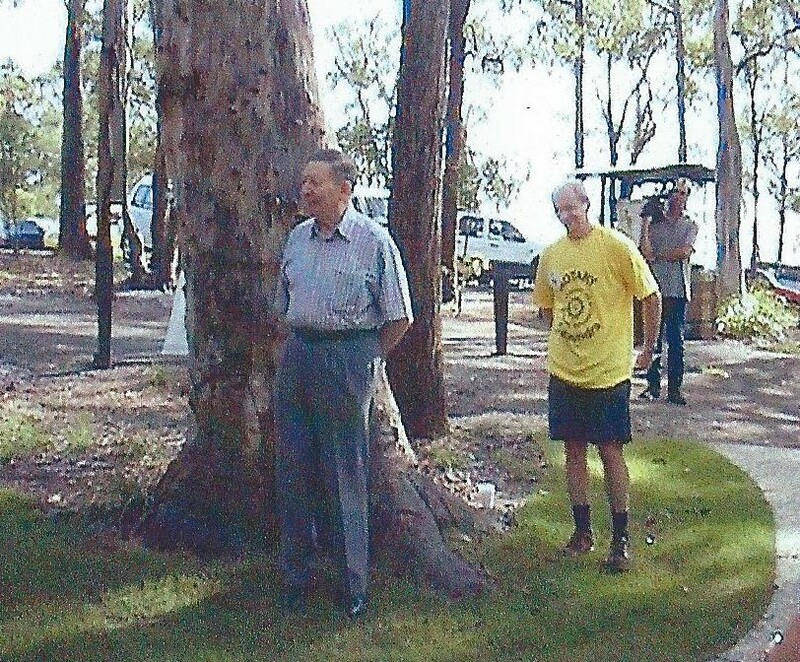 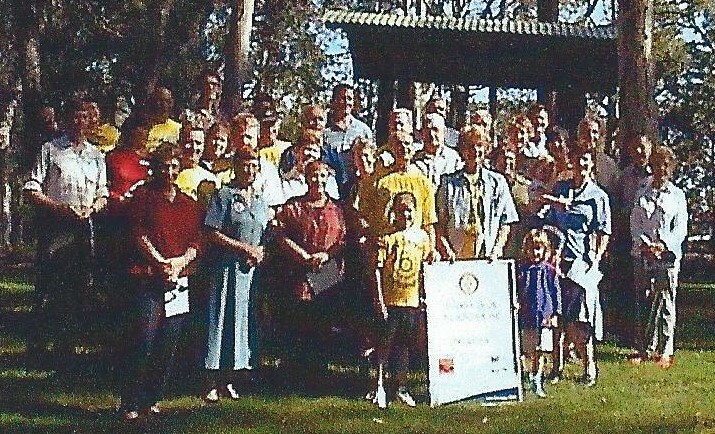 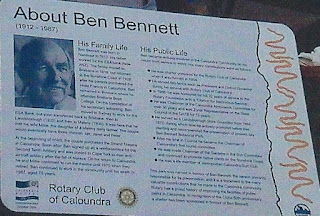 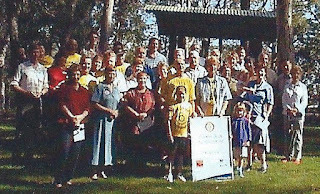 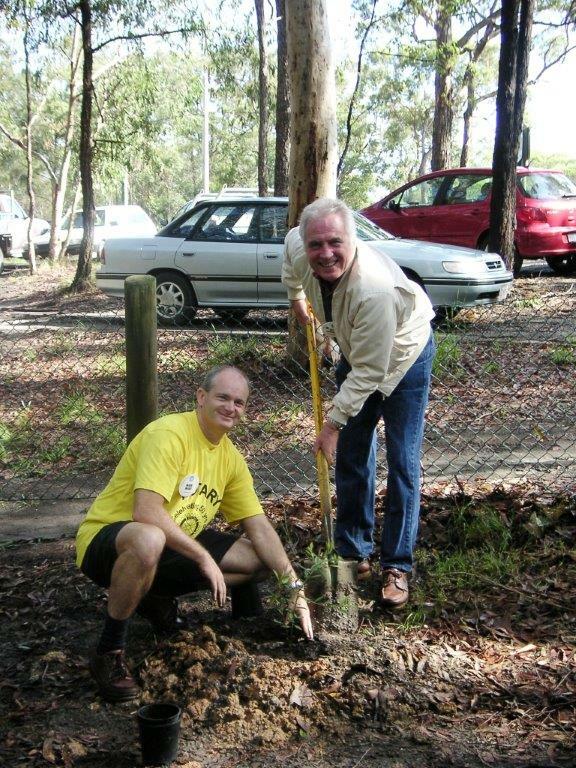 Watch out for the story of Rotary's involvement with Ben Bennett Botanical Garden, now known as Ben Bennett Bushland Park. Les, Great compilation of photos from the archive. 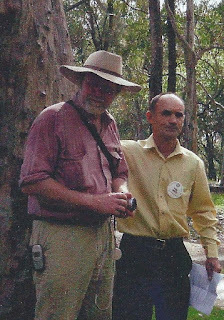 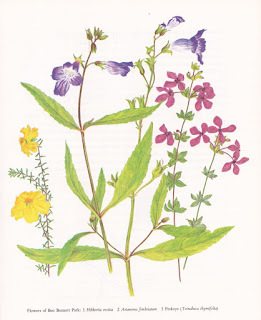 What we need now is memoirs from Club members of that period (most of whom are still current) to create a profile of how the project came about and over what period. 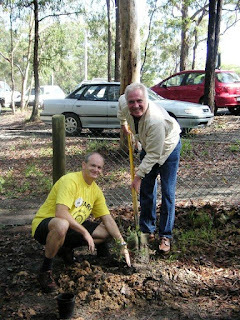 It seems that the SC Council had a strong role also in providing trees and "work for the dole" labour to make the outcome so diverse. Does Roger have more commentary to add as he was obviously part of the previous year's committee and probably has notes to add?